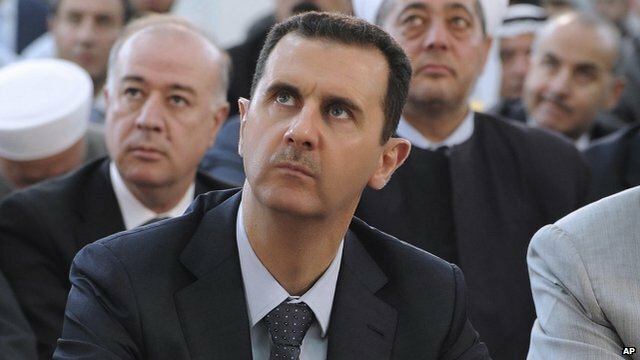 Syrian chief announces defection Jump to media player The commander of the Syrian military police has defected and joined the uprising against President Bashar al-Assad's regime. 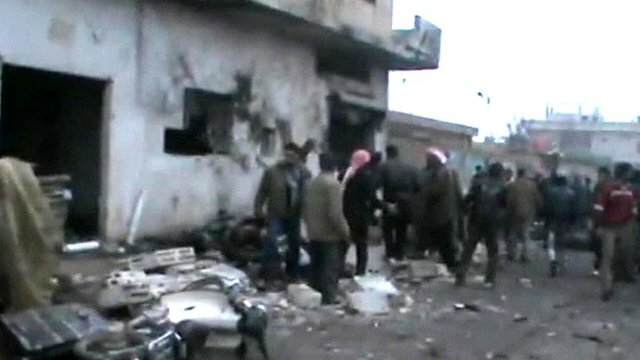 Air strike 'kills dozens' at bakery Jump to media player Dozens of people have been killed and many wounded in a government air strike on a bakery in Syria's central Hama province, opposition activists have said. 'Syria's chemical weapons ready for use' Jump to media player Congressman Mike Rogers, chairman of the House Intelligence Committee, speaks to the BBC's Frank Gardner about US concerns over Syria's weapons. 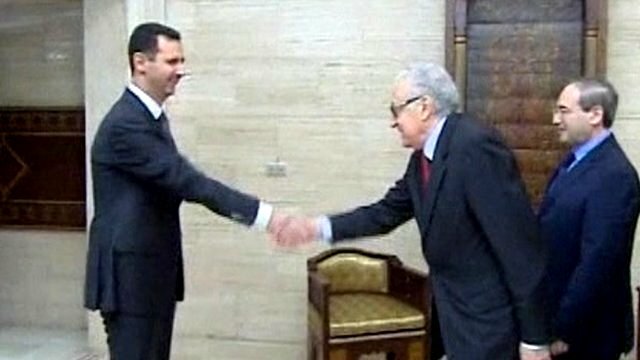 Peace envoy in talks with Syria's Assad Jump to media player Peace envoy Lakhdar Brahimi has been meeting Syrian president Bashar al-Assad. 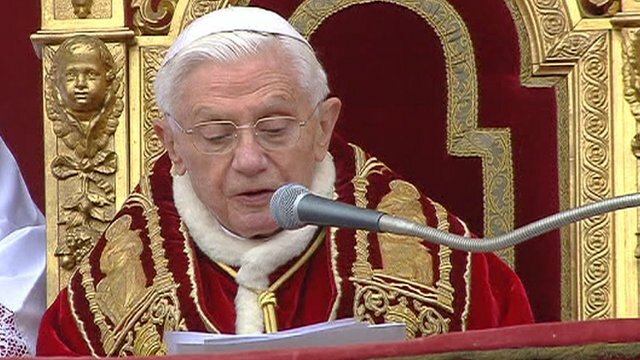 Pope urges peace in Middle East Jump to media player Pope Benedict has used his customary Christmas blessing and message to call for peace in the world, particularly in Syria, the Middle East and North Africa. Aid collected for Syria victims Jump to media player An Essex charity has collected 20 tonnes of aid to be shipped out to people caught up in Syria's civil war. Reporter held captive in Syria freed Jump to media player The chief foreign correspondent of US TV network NBC, Richard Engel, and members of his production crew have been freed in Syria after being held captive for five days. The commander of Syria's military police has defected from President Bashar-al Assad's government and reportedly fled to Turkey. 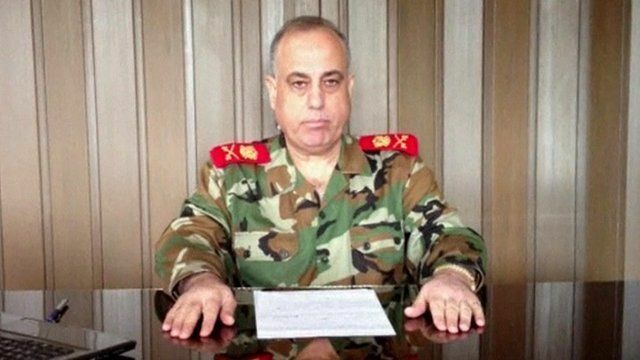 Lt Gen Abulaziz al-Shalal is one of the highest-ranking officials to join the uprising against the Syrian regime. In a statement posted on YouTube, the officer said the army had deviated from its primary duty of protecting the country and had transformed into "gangs of killing and destruction". He went on to say the army had "destroyed cities and villages and has committed massacres against an unarmed population".